Food additives are relatively new to our food supply. So it’s no surprise that we’re seeing more and more health issues arise with them. 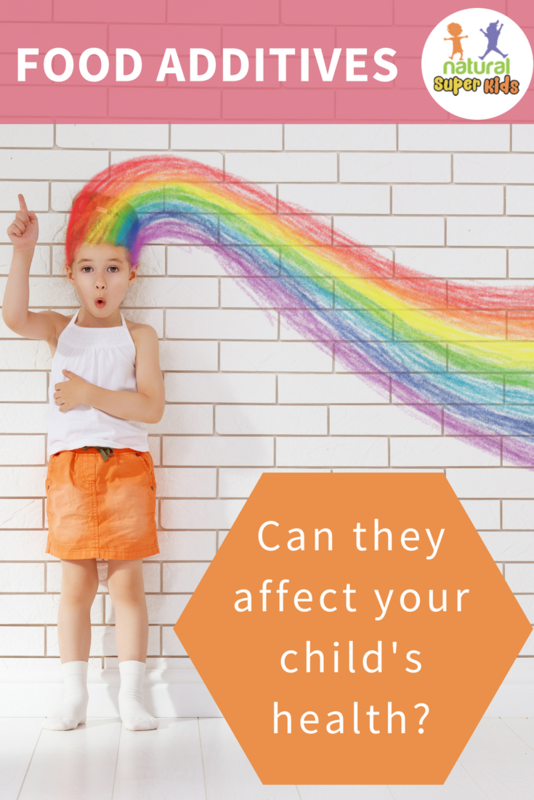 But are food additives to blame for your child’s symptoms? 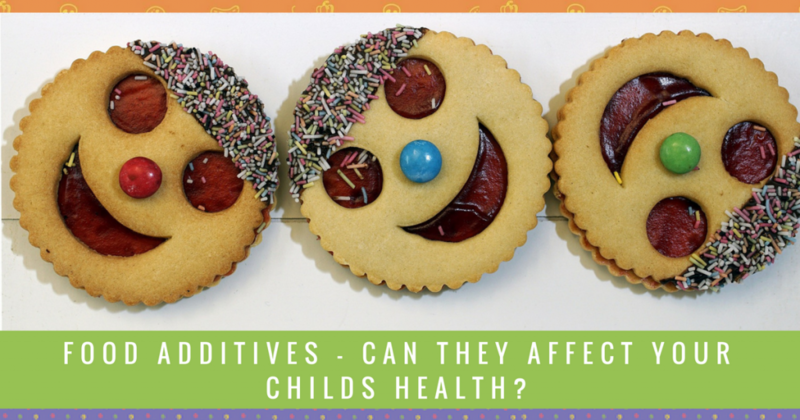 Watch the video or continue reading below to find out more about how food additives can affect your child’s wellbeing. Put simply, food additives are compounds used to improve the flavour or appearance of a food. You won’t find them in natural wholefoods, and they have no nutritional value. Are all food additives bad? There are some that are terrible for health and out-right scary. But there are others that are less concerning. 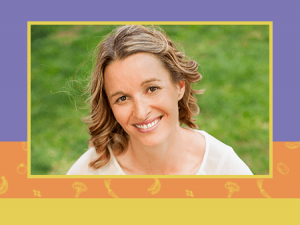 I believe we need to be realistic – it is hard to completely avoid additives. But it is important to be aware of them. Suspected links to cancer and leukaemia in animal studies. Potentially contaminated with a known carcinogen. If you want to look at the potential side effects of a particular additive, download the app by The Chemical Maze. This allows you to check each additive while you’re in the supermarket looking at the packet! 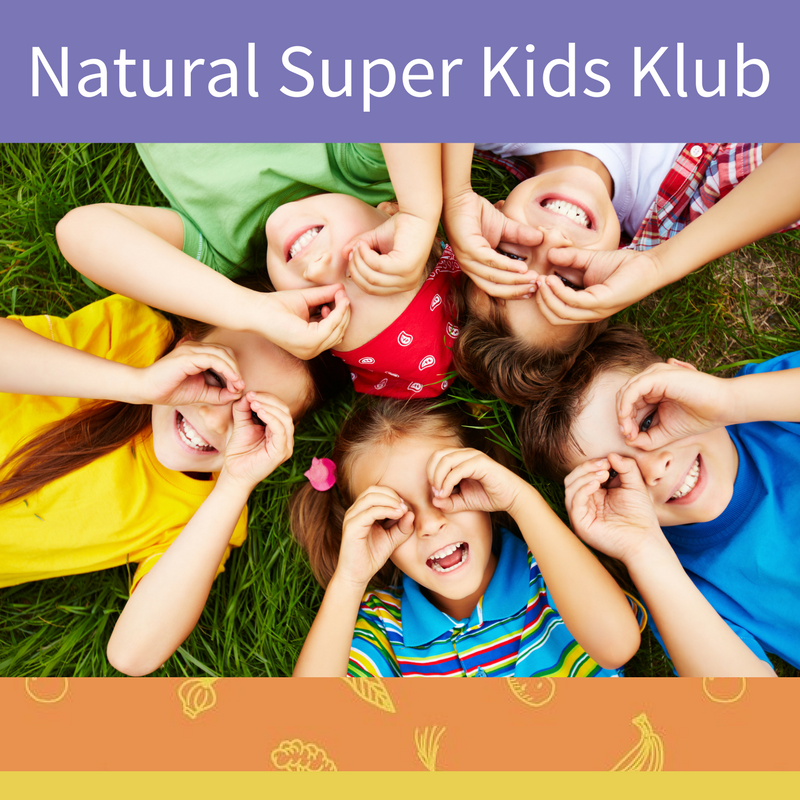 If your child has a health condition, reducing and eliminating can make the world of difference to their behaviour, concentration and learning. That’s why I recommend working with a practitioner who can look at the bigger picture and help you make the most effective changes. If you want to reduce your child’s exposure to food additives, there are a few easy steps to take. Don’t take notice of the health claims on the front of a package. Instead, have a look at the ingredient list. Choose foods that have fewer numbers in the list, or preferably none at all. You also want to avoid chemical-sounding names. Another trick is to avoid foods that have vitamins and minerals added. It might seem healthier, but they are usually added to low-nutrient, highly processed foods. A good rule of thumb is to choose foods with a short ingredient list. If you want the kids to have a treat such as chips or corn chips, go for the plain variety. Flavoured options will usually contain more additives. If a product claims to be sugar-free, zero calorie or diet, check the back. This usually means it has low or no sugar, but it has sweeteners added to it. And often, the sweetener is worse than sugar itself! Gum, lollies, yoghurt and soft drinks are just a few foods that can be sweetened artificially. Aspartame, sucralose and saccharine are the most common artificial sweeteners. A great example of this is cheese. A block of cheese won’t have many additives, if any at all. But grated and sliced choices will have things like anti-caking agents added. It might not be as convenient, but grating and slicing your own cheese is a simple way to reduce additives. The same goes for meats. Ham is a convenient option, but it contains a lot of additives and preservatives. A healthier choice is to poach chicken breasts or cook a big roast, and use these in sandwiches. Most mums know this because their kids go crazy after having them! But colours are added to things we don’t even think about. For example, a chocolate bar with popping candy will have added colours. If you want to give your kids a treat, don’t combine sugar with a heap of additives! Choose a plain variety instead. Finally, it’s important to not just reduce the exposure to food additives and other toxins. You also want to build up your child’s resistance to these compounds. The best way to achieve this is to increase their nutrient levels and support their gut and detoxification pathways. The way we do this is by focusing on a wholefood diet. Unfortunately, many snacks today are packed full of additives. 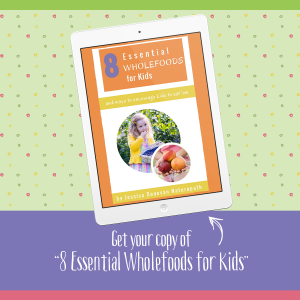 So if you’re running out of snack ideas for your kids, make sure you download a copy of my ebook: 15 Quick & Easy Snack Ideas For Kids.